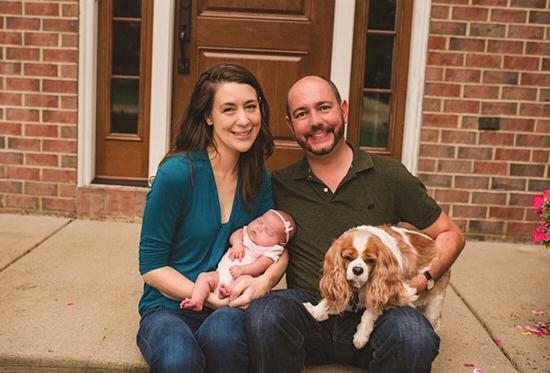 From Wait List to Adoptimist, Then Parenthood! A long stay on an agency wait list prompted us to take a more active role in promoting ourselves. Adoptimist helped us connect with the birth mother who brought us our baby girl. Here are some tips and information that can help you. Approximately three years ago, we were placed on a wait list for adoption with an agency. The agency was great at educating us about the process and making sure we took the required courses to adopt. Unfortunately, it did not provide extensive advertising for potential birthmothers. The agency looked only in our state, leaving 49 other states untouched. We waited for two years with no luck, but then our attorney recommended we take a more proactive approach by marketing ourselves as potential adoptive parents. After a bit of research, we discovered Adoptimist, and we couldn’t be more pleased with the results. Within three months of being on Adoptimist, the birthmother (from out of state) reached out to us. Six months after signing up, we have a brand new baby girl at home! We advertised on social media with a Facebook adoption page, and we signed up with Adoptimist. We also tried making a handout with our information and a link to our Adoptimist page. We printed out postcards and gave them to friends and family to distribute. Then we posted them on local area community message boards at the grocery store, coffee shop, and other well-attended locations. We did experience a couple of scams on Adoptimist before we connected with our birthmother. Most of them were pretty obvious just from reading the email, so we ignored or deleted them. For a short time, though, there was one we thought might be legitimate. But when we finally referred them to speak with our attorney, they disappeared. Then we went on the Adoptimist message boards and discovered that other people had experienced the same scheme with the same person. Be aware that scams are out there, but real birth mothers are, too! We recommend that you remain cautiously optimistic—be aware that scams are out there, but real birth mothers are, too! Don’t give your personal information out, and definitely don’t send anyone any money without going through your attorney or agency! It’s a good idea to check the Adoptimist scam message boards when you get a message from someone, and see if anyone else has experienced something similar (scammers often reach out to several families at once). Also, once you are talking with someone, use your agency and/or attorney to confirm that the person is not a scammer. You have to protect yourself emotionally and financially. • Try to stay patient and hopeful, even though it can be hard. We are thrilled with our sweet little girl. She was 100% worth the wait! • We wish we had known earlier to do our own advertising! Use a lot of pictures and text in your profile. The blog feature on the profile is nice, too, so you can post updates. You will find that people are more than happy to share your Adoptimist link and want to help you find your baby! • Don’t get too hung up if the birthmother is out of state. You can work through it and get the baby back home safely. • You can also use the link to your Adoptimist page in your social media. Send it to all your contacts—you never know who might know someone. You will find that people are more than happy to share it and want to help you find your baby! • You still should have an attorney or agency. Adoptimist is advertising only, and to successfully get through the adoption process, you need professionals to help with the other requirements (home study, home visits after placement, court finalization, etc.) Good luck on your adoption journey, and stay positive!